As an inventor company, Bayer sets trends in these research-intensive areas. Bayer’s products and services are developed to improve the quality of life. Bayer is committed to the principles of sustainable development, placing equal value on our economic, environmental and social performance. AUSVEG’s strategic partnership with Bayer allows for collaboration on a range of industry specific issues. Bayer is an integral part of the Australian vegetable and potato industry supply-chain, offering solutions for farmers in crop protection, pest control, seeds and plant biotechnology. Bayer is committed to ensuring sustainable agriculture is practiced throughout Australia. Bayer has specialised technical staff who service Australian farmers around the country and they offer full support to the Australian vegetable industry. Bayer also has involvement in the international seed industry and is a global specialist in vegetable seeds and sharing products through Bayer Vegetable Seeds. As a globally integrated group of teams, Bayer Vegetable Seeds builds unique customer relationships and shares products, concepts and expertise with the professional horticultural production industry and supply chain. With more than 1,400 people BVS and their Nunhems products are present in all major vegetable production areas in the world. A major element of AUSVEG’s partnership is Bayer’s involvement with a range of research and development initiatives. Bayer is also involved in a number of significant industry events. 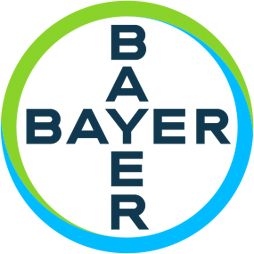 For more information about Bayer, please click here to visit its website.